The median rent for a one-bedroom apartment in Philadelphia runs in the neighborhood of $1,550 a month. While we've seen what luxury apartments (for $2,000+) look like, we were curious about what kinds of amenities a $1,550 apartment would include. These three one-bedroom homes — in Center City, Bella Vista and Fishtown — are on the market for the city's median rate. Tell me all about it: This one-bedroom boasts a great location — once the construction finishes — as well as a series of great amenities. The Doorman building features a new sauna as well as a billiards room. This unit has a great soaking tub, 15-foot ceilings and the dream of every apartment dweller: private laundry. 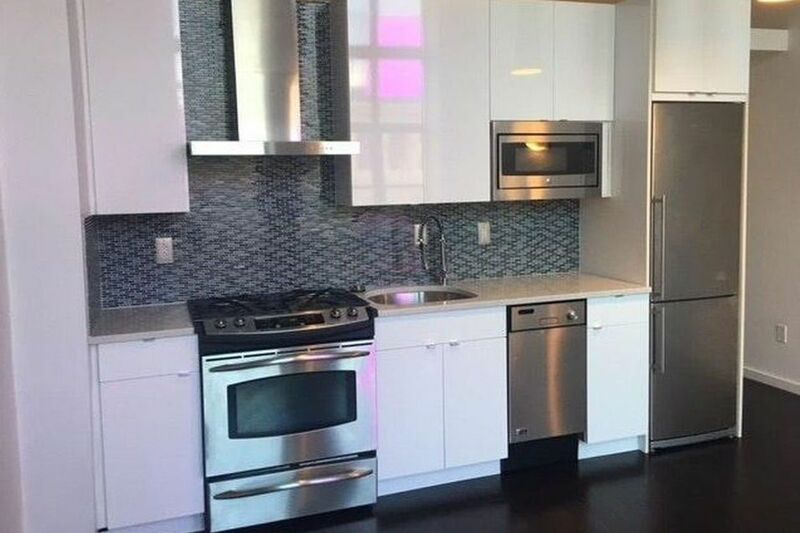 Tell me all about it: We love the smart technology offered in this Bella Vista apartment. In addition to a Nest thermostat, the unit includes a Nest camera system, and a Bluetooth door lock. The new tenants also will have an option to lease the apartment fully furnished. Tell me all about it: The Chesterman Building in Fishtown features common spaces, including community and screening rooms, as well as meeting rooms and designated bike parking. Apartments like this one-bedroom unit include custom cabinetry, polished concrete floors, and private laundry.